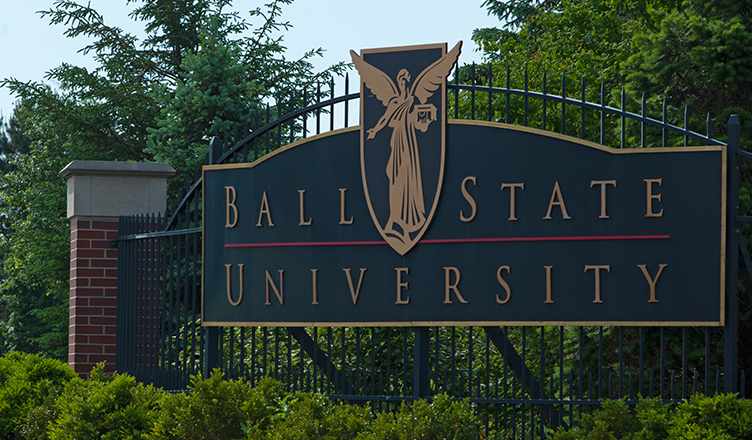 Ball State University was founded in 1899 when Muncie business leaders, including the Ball family, envisioned a local college for private teacher training in the hopes of boosting the city’s development. Over the years the campus has been a temporary home to thousands of students and faculty for the duration of their on-campus educational experience. Read more about Ball State’s general history here. Every year about 40 percent of Ball State’s on-campus student body choose to live in one of their 31 residence halls or 2 apartment complexes. The Ball State Neighborhood is made up primarily of the non-local students who reside in on campus facilities such as residence halls or University owned apartment complexes. Due to the unique and somewhat transitory makeup of this neighborhood’s residents, they do not have a traditional neighborhood association. Instead, Ball State offers its student residents a myriad of ways to get involved both on campus, and with the local community. Student Life helps to oversee the more than 400 student organizations, leadership development programs, community service opportunities, and multi-cultural organizations that help enrich the residential experience. To learn more about how to get involved in the campus community, please visit Ball State Housing and Residence Life.